The Kolcraft Cloud Double came in 3rd from the bottom of 9 double strollers. 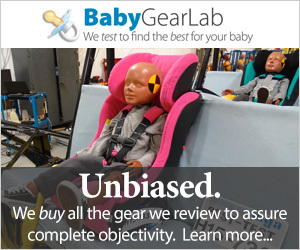 This stroller earned the lowest score for maneuverability and the second lowest for quality. While the Cloud Double is definitely budget friendly, arguably its only perk, the lack of 5-point harnesses makes it a no go in our book and one we think parents should avoid no matter what their budget. The triple action brakes, that require 3 pedals to be engaged, also gives us pause and concern that over time parents will fail to properly set the brakes. If budget is a concern, our Best Value winner, and second place scorer, the Delta Children LX Side by Side has the same list price as the Cloud, but offers better maneuverability, higher quality, and 5-point harnesses. Chicago based Kolcraft, a third generation family owned business, started in 1946. Founder, Leo Koltun started the business with crib pads, moving to crib mattresses once his son joined the business in the 1950s. In 1980, Kolcraft created the Carri-Cradle®, the first infant carrier and rocker with carry handle. By 1987, the company added high chairs and playards to their lineup. When grandson Tom Koltun joined the business they quickly added new products and began affiliations with other companies. In 1993, Kolcraft and Sealy® Technology formed a partnership to become the largest manufacturer of crib mattresses in the United States. The Cloud Double scored poorly in almost every metric with 3-point harnesses and no storage. The Cloud Double earned a 7 of 10 for weight and folded size. This stroller weighs 21.2 lbs and measures 8,541 cubic inches when folded. This makes it the second smallest folded option and the 4th lightest. If fitting your stroller in a small space is important, the Cloud doesn't disappoint, but if you want something lightweight and small, the Delta Children LX Side by Side is lighter and smaller for the same price! The Cloud is fairly small when folded, but there are lighter and smaller options in the review. The Cloud Double earned a 3 of 10 for ease of use, which is the lowest score in this metric. Steaming largely from the 3-point harnesses and no storage bin, the Cloud couldn't compete with the large bin and easy harnesses on the ZOE XL2 BEST v2. The Cloud Double has an easy foot initiated one-handed fold that doesn't self-stand or lock on its own. The fold release (above left) could probably be done with flip flops on, and we had no trouble with the manual lock (above right). All 3 brake pedals on the Cloud Double MUST be engaged for the brakes to be properly set. The Cloud Double has triple action brakes that require all three pedals to be depressed before the brakes are properly engaged. While they are average for ease of setting and releasing, and even sandal foot friendly, we worry busy parents will fail to set all three pedals, thereby creating a potential safety concern over time. The Cloud's cup holder is the only storage on this stroller. The Cloud Double has no storage bin, which feels like an oversight given that you need more storage with two children as opposed to less. While they might have made this choice to cut down on cost or even weight, we think most parents would pay extra for storage so they don't have to carry supplies on their back. The Cloud does have a single cup holder located on the frame near the left handle. The Cloud canopies become misshapen with regular use, and they lack a peek-a-boo window and quality feel. The Cloud Double has identical canopies for each seat that are average in size with no peek-a-boo windows. They lock out with a stabilizer bar, and feel flimsy, with ours losing shape over our relatively short testing period. With the pop out visor open, the canopies limit visibility, but might be good for a lower sun. The Cloud is the only stroller in the review to offer 3-point harnesses, which are not as safe as 5-point options. The Cloud Double has two 3-point harnesses with very long crotch straps that are not adjustable. Three points is not as safe as 5-points, and we do not recommend them. The straps are difficult to adjust with a double loop through the buckle that takes time to make smaller, and adjusting with a wiggly baby on board is frustrating. The Cloud frame design limits the recline making it a poor option for comfortable napping. The Cloud Double does not offer leg rests and the recline is hard to manage with a child in the seat. Reclining consists of undoing a strap and then attaching it to the frame, and we think this will be difficult to do smoothly with a napping baby on board. However, the recline isn't deep enough for great napping anyway. The Cloud took us almost 11 minutes to assemble with no tools. A poorly designed manual with three languages for each step, as opposed to separate sections for each language, is to blame for the additional assembly time. The Cloud earned a 1 of 10 for maneuverability, the lowest score in the group. It has plastic wheels with exaggerated tread that causes wobble and vibration in the handles without adding any assistance over rough terrain as you would assume tread would do. The dual wheel design, that puts 6 wheels in front, causes the stroller to wander and dodge off course if the terrain isn't absolutely flat. While it isn't hard to push straight on flat ground, it is difficult to turn and negotiate in small spaces. We had to squeeze the handles together to get it through doorways, and if the wheels caught on baseboards it took a lot of brute force to set it right again. The 6 front wheels of the Cloud make it hard to keep the stroller on course. This stroller has front suspension only and stiff bottom seats with little to no padding. With limited recline, and lack of leg rest, we think this stroller will be uncomfortable for passengers. The foam covered handles are better than plain plastic, but the vibration caused by the useless tread is likely to cause early fatigue for pushers. The Cloud earned a 2 of 10 for quality, the second lowest score for this metric. All of the materials on this stroller come together in a dated design that has a lot of flex and harder to use features. The stroller is barebones with no padding, mesh seats, and exposed fasteners that give it a flimsy and rickety feel. It also lacks important items like 5-point harnesses and a storage bin, which makes the entire stroller feel "less than", and indicates that higher quality or attention to detail are not the goals of this cheaper stroller. Below is the manufacturer's video showing the Double Cloud and its features. Amazon $63.90 - 36% off!